Gordon PrattThe Quino checkerspot butterfly. Four environmental conservation nonprofits have filed suit against the United States Department of Homeland Security. The groups argue that the Trump administration’s planned border wall would jeopardize more than a dozen endangered species, including the Quito checkerspot butterfly and the Arroyo toad. At a hearing in February, a judge will make a decision, which would impede the border wall’s construction in San Diego and Calexico, California if the environmental groups win. In early 2018, the Trump administration’s planned border wall may face hurdles from unlikely sources: several endangered animal and plant species on the US-Mexico border. Four environmental nonprofits – the Sierra Club, Defenders of Wildlife, the Animal Legal Defence Fund, and the Center for Biological Diversity – have filed suit against the US Department of Homeland Security (DHS) over wildlife concerns and the proposed barrier. 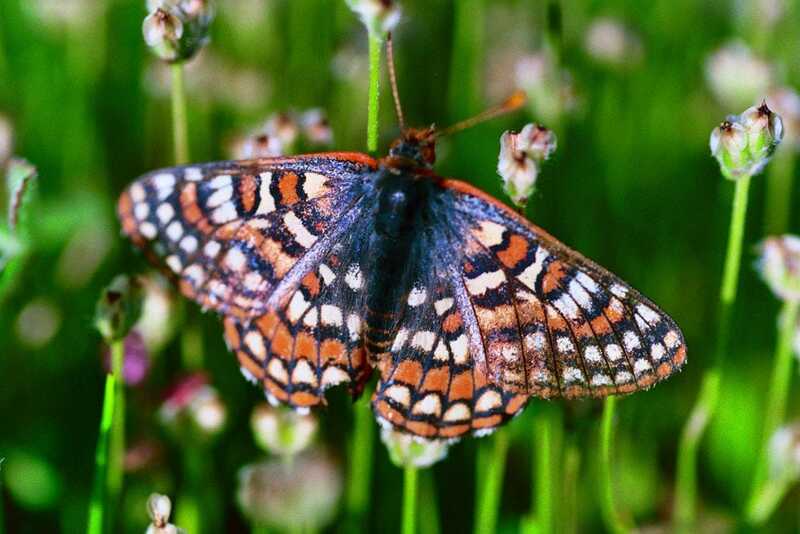 The lawsuit, filed in late November, argues that the border wall would threaten more than a dozen endangered species in southern California and northern Mexico, including the Arroyo toad, the Quino checkerspot butterfly, the peninsular bighorn sheep, and the Mexican flannel bush. The species are protected under the National Environmental Policy Act and the Endangered Species Act, both of which the DHS wishes to sidestep to construct the wall on the California border. In September, acting DHS secretary Elaine Duke posted a Federal Register Notice explaining that the agency needs to lift environmental protections so it can take “immediate action” on undocumented immigration. The environmental groups say that doing so would be unconstitutional. “The sector remains an area of high illegal entry for which there is an immediate need to improve current infrastructure and construct additional border barriers and roads,” the DHS wrote in August, when it announced its waiver. US District Judge Gonzalo Curiel will hear the case on February 9, and decide whether the Trump administration can build its wall near the border of San Diego and Calexico. 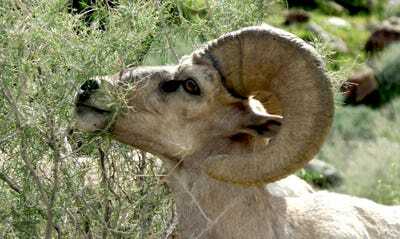 Mark Catalano/USFWSA peninsular bighorn sheep at Anza Borrego Desert State Park in Borrego Springs, California. In total, San Diego has about 46 miles of existing fencing along its 60-mile border with Mexico. Fencing spans 59 of 70 miles near the Calexico border. But the Trump administration hopes to replace the barriers with a solid wall. To construct wall prototypes in San Diego, the DHS has waived 37 environmental laws and regulations. According to the environmental groups, the border wall would disrupt endangered species’ migratory patterns as well as block their access to the Rio Grande River, a vital water source. “Nobody is above the law. Environmental laws were enacted to protect imperiled wildlife, delicate landscapes, and the American public,” Jamie Rappaport Clark, president and CEO of Defenders of Wildlife, said in a statement.